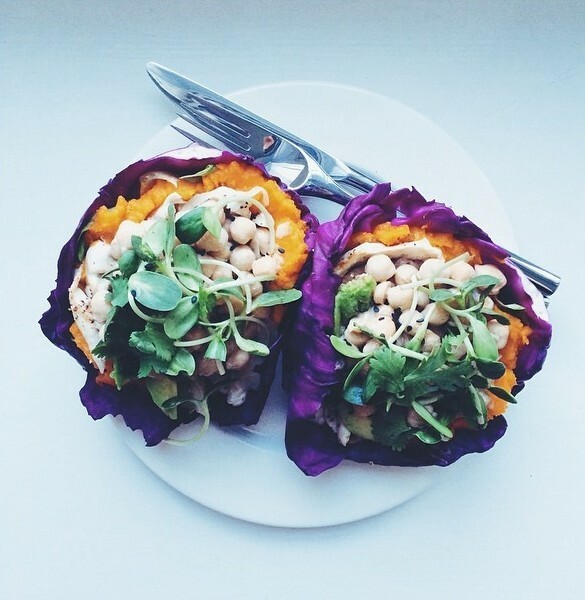 It's all about pumpkin & squash this week! 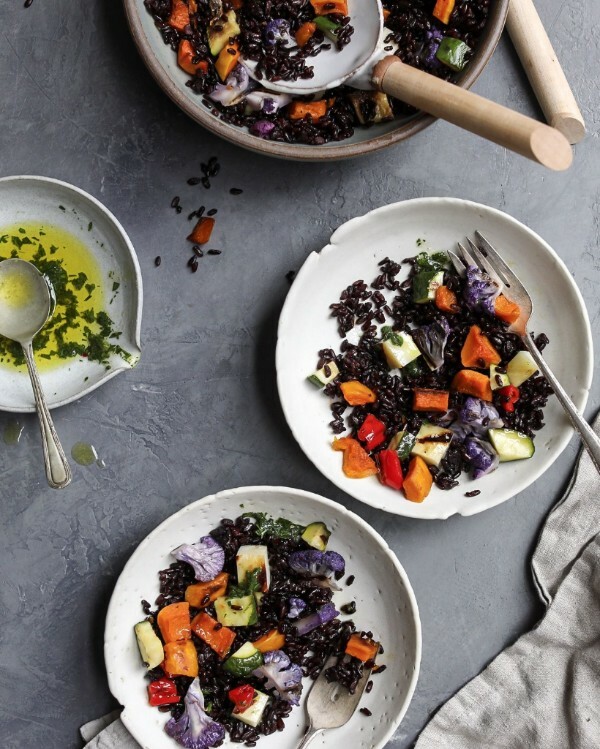 If you can't get your hands on black rice, any variety would work here. This dish comes together super quickly so we're assigning a little homework! While the vegetables roast, make pumpkin puree so you can use it all week long. Follow the recipe linked above and store it in the fridge or freezer to use throughout the week. Feedfeed Tip To get fluffy rice, be sure to rinse the uncooked rice in water until it runs clear to ensure the grains do not stick together once cooked. Can you say comfort food? 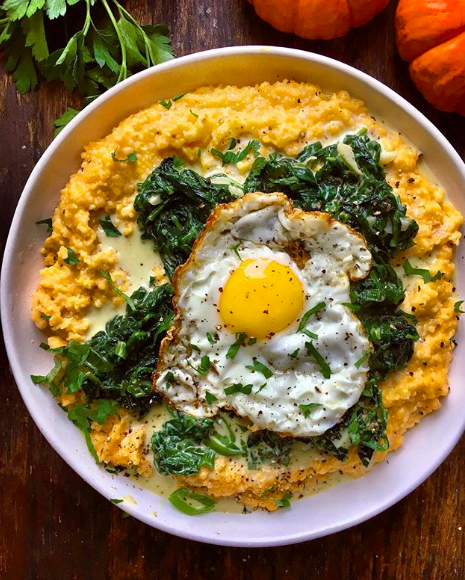 Creamy brown butter grits with homemade pumpkin puree and cheddar cheese folded right in? It doesn't get much better than this! Remember that pumpkin puree? It's back! This time in the form of crunchy cabbage tacos. Feel free to get creative with the toppings here; you can use whatever leftover meat or beans you happen to have on hand. Pancakes for dinner? You bet! 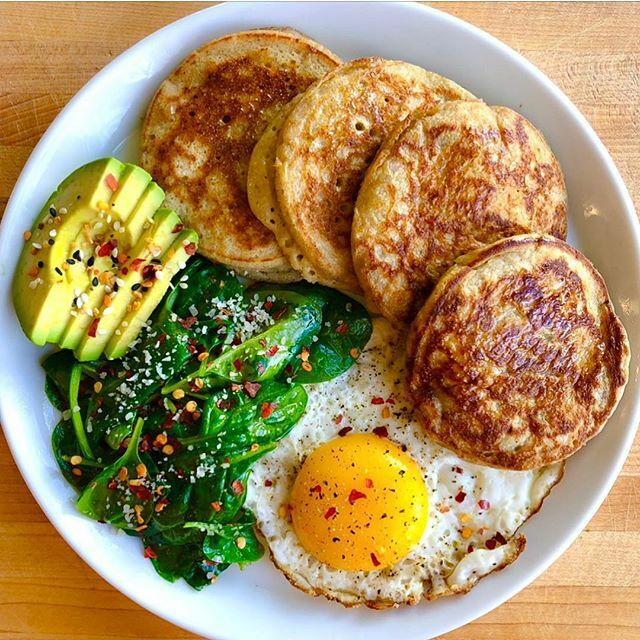 These pancakes can skew sweet or savory, plus they are grain free! 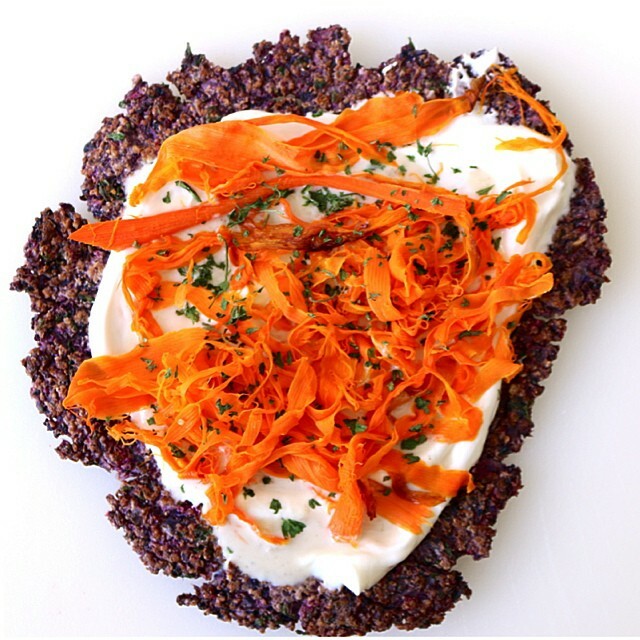 Seriously, what *can't* you do with cauliflower?! 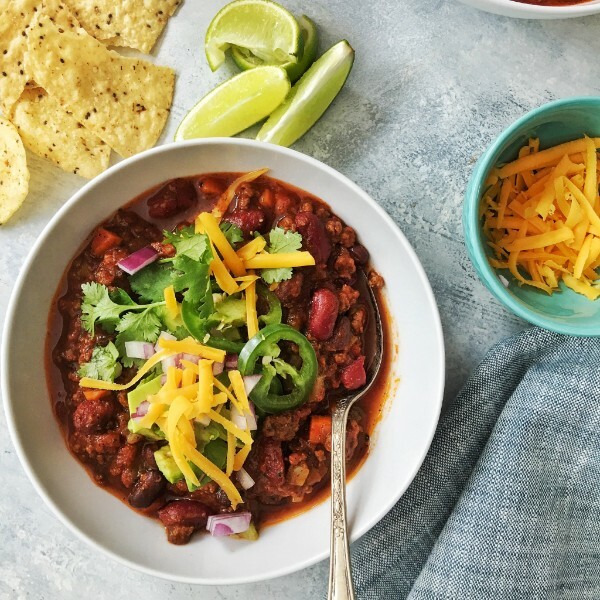 Not to toot our own horn or anything; but this chili IS IT! 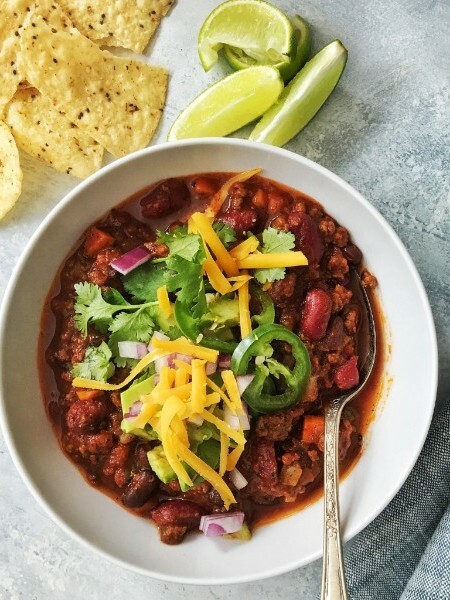 Feedfeed Tip We think low and slow is the key to good chili, as well as a hefty dash of adobo sauce! Start this chili in the morning before work and let it cook all day in the slow cooker. You'll thank us later! It's not the weekend until you bust out the keg, right? It doesn't get any more seasonal than this! Feedfeed Tip Fill this with whatever you want! 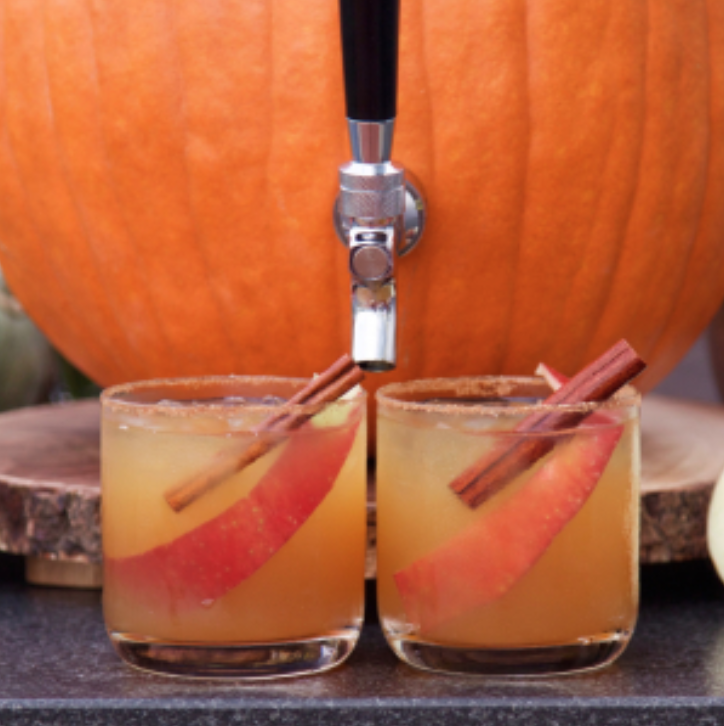 Apple cider or your favorite fall beer would be great.